A Book Number can only be claimed on, or after, its date of issue. To assist you in making Book-holders/Numbers award claims, a guide to when books were issued can be found by following the link at the end of this page. A series of awards is available for working Book Numbers. Each contact for these awards must have been on, or after, 1st January 1970 and on, or after, the date the Book Number being claimed was issued. 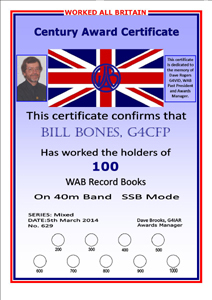 The basic award is issued for 100 Book Numbers. This can be endorsed either for mixed series books or for a single series of books. The following table shows the Book Numbers valid for each series. Endorsements are issued for each additional 100 Book Numbers and additional certificates for each 1000 Book Numbers. To claim a Book Number you must work or hear the person to whom the book is issued. In the case of a Club station, the book(s) of both the Club and the Operator may be claimed. 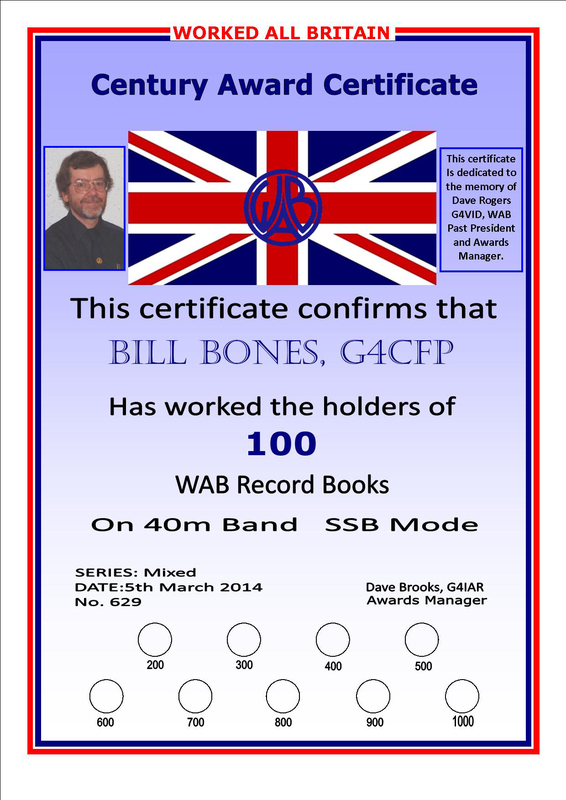 A Short Wave Listener's Book Numbers may be claimed if confirmation is received from the SWL. The W.A.B. Membership Secretary has produced a Book Number Tracker spreadsheet for the Book Numbers Award. You can download it (in ZIP format) here. If you have any queries about it, please contact the Membership Secretary directly (See the Committee page).